Summer is here! Playing outside with the pups, more walks, and visits to the dog park! All this fun in this sun is also fun in the mud, water, and dirt. 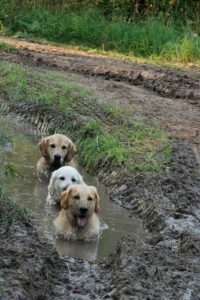 Dogs get just plain dirty. 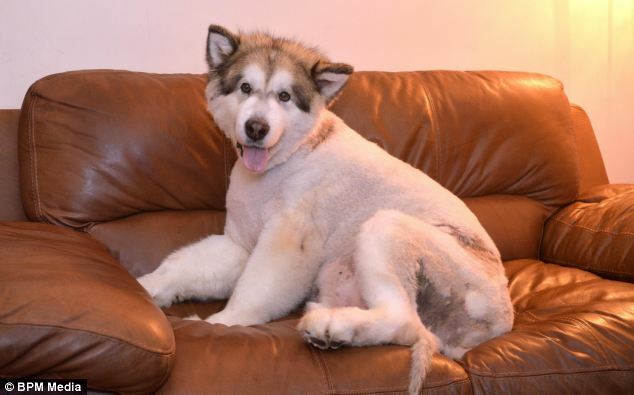 Getting a good haircut for your dog can make a world of difference! Some people have tackled the challenge of at home grooming, but sometimes you just need professional help. There are plenty of groomers around who are not hard to find, the question is how do you pick? It is important to get an idea of the cost beforehand, especially if options like nail clipping are an extra cost or part of the grooming package. You also want a groomer you can communicate with. Do you know your dog chews at her ears if the hair gets too short? It is important to make sure you can talk to someone who will care for your dog and listen to your needs. Does it look and smell clean? Does the staff appear knowledgeable and caring? Does the staff handle pets gently? Are dogs and cats caged in separate areas? Are pets monitored regularly to prevent overheating during blow-drying? Does the groomer keep complete pet records (including grooming, medical, vaccination and emergency contact information)? Doing this research takes some time but is well worth the cost and effort. And of course your pup looks amazing – for now….